Well Windows 10 was released to the general public last week on 7/29/2015. Since then I found out about a cool tweak you can make with just a slight adjustment, This will likely be added to the PC Setting context menu in the future as a toggle button but for now you still have to manually add it by creating a single registry key. Wait really that's it, Yes it is! I threw in a quick little revert back function called Set-LightTheme just in case you don't like the dark theme(I think you are weird). Please download functions from the Microsoft Script Repository! Click here to download the script from the Microsoft Script Repository! So I wrote a little function that will enable the recycling bin. But that's not it, it will also set all OUs, computer accounts and user accounts to be protected from accidental deletion. A log file is saved in C:\windows\temp as well. Preventive maintenance can be the most important maintenance. Enables the AD recycling Bin and prevents all OUs\computer\users accounts from accidental deletion. check box that prevents them from accidental deletion. This is also done for all user and computer accounts on your domain. #More or less turns on and\or enables logging to begin. Write-Host "The Active Directory Recycling Bin has already been enabled!" -ForegroundColor "Green"
Write-Host "The Active Directory Recycling Bin NEEDS TO BE ENABLED!" 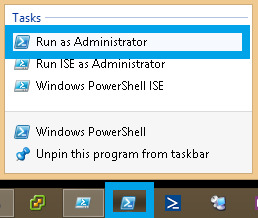 -ForegroundColor "Red"
Write-Host "The Active Directory Recycling has now been enabled!!" -ForegroundColor "Red"
Last night we received an alert for the following "SQLServer:Locks: Average Wait Time (ms) is above it's currently configured threshold"... What an obscure alert, that I see far too often. 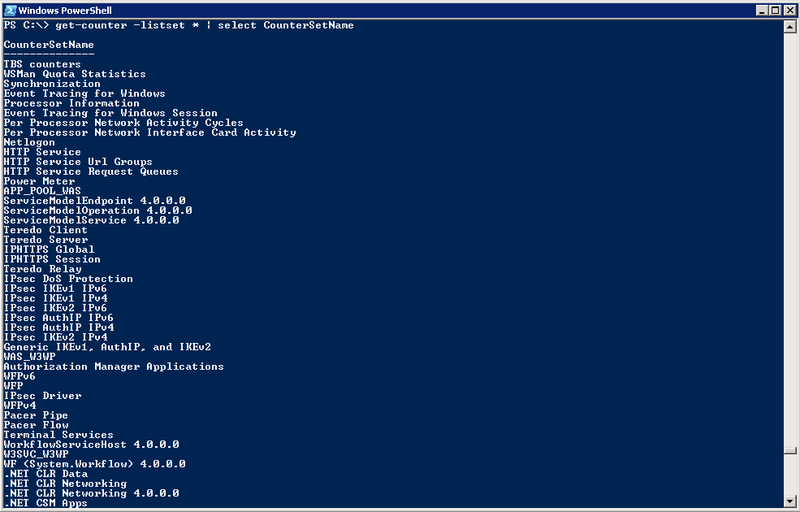 Here’s the PowerShell way to check if this has been resolved. 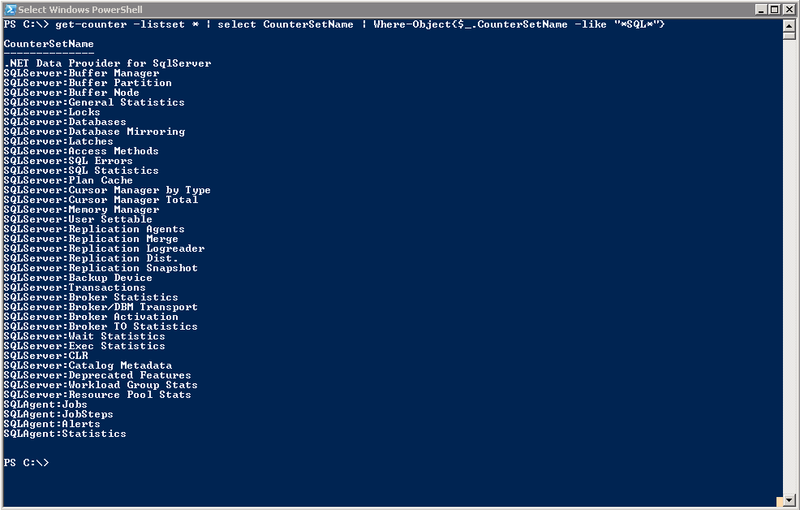 First we need to open a PowerShell console on the machine in question as an Administrator to get the correct SQL counter set name. Okay so that does give us all the information we are requesting but in order to get a nice output that only contains SQL counters we could filter out all counters that do NOT have *SQL* in the name. Now that we know the counter set name is "SQLServer:Locks" we can run the following command to see a list of the counters within SQLServer:Locks. 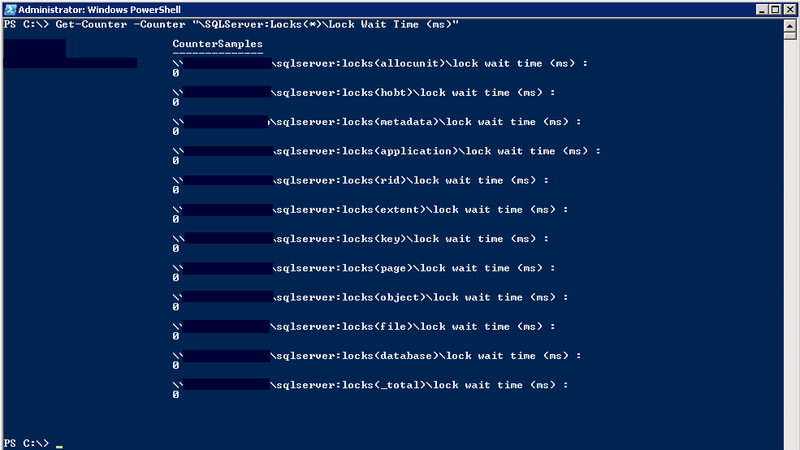 Get-Counter -Counter "\SQLServer:Locks(*)\Lock Wait Time (ms)"
There are a few gotchas however, you will need quotes around the counter name because it contains spaces and this must be ran in an administrative shell. As shown above the average lock wait time has been reduced to 0 which tells me this alert has now cleared out. Below I've added some more popular cmdlets to this command to get a little more data at an interval that you can specify.